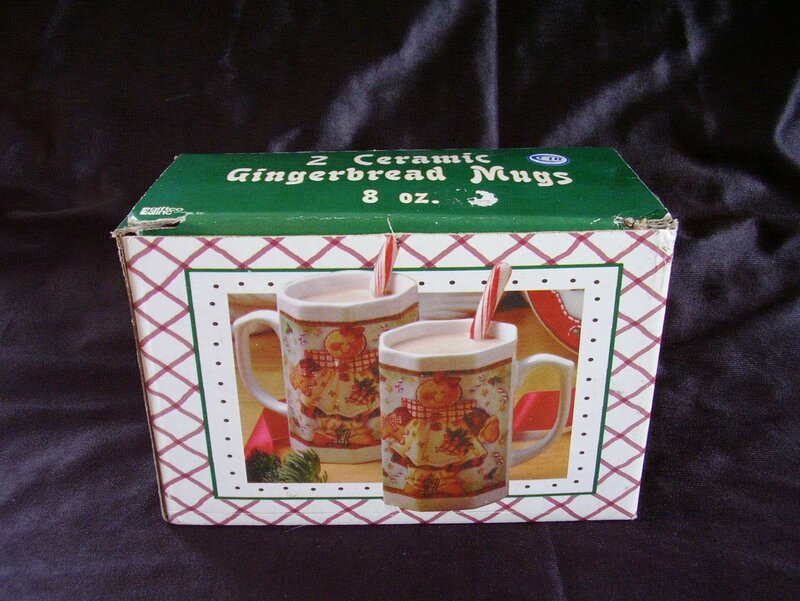 2 Ceramic Christmas Holiday Gingerbread Hot Chocolate, Cocoa, or Coffee Mugs 8 oz. 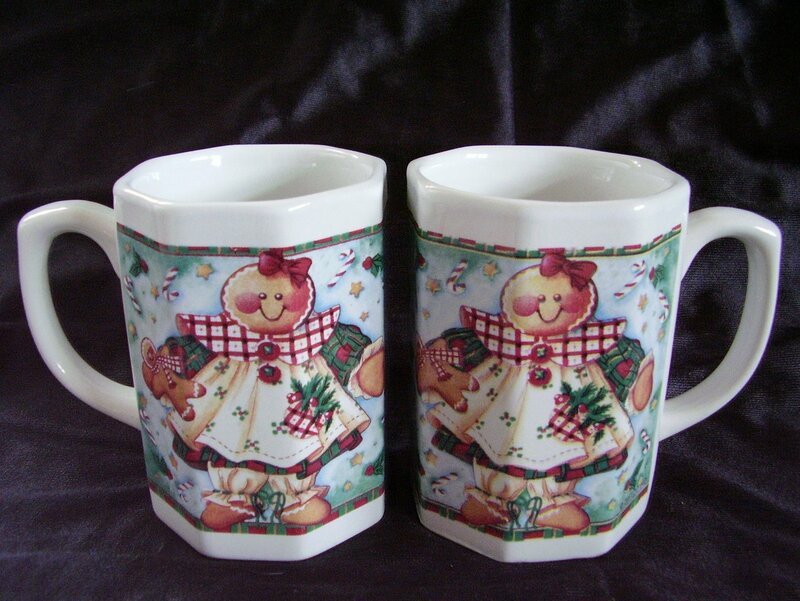 Set of 2 adorable ceramic octagonal shaped mugs with decaled gingerbread girls on them. 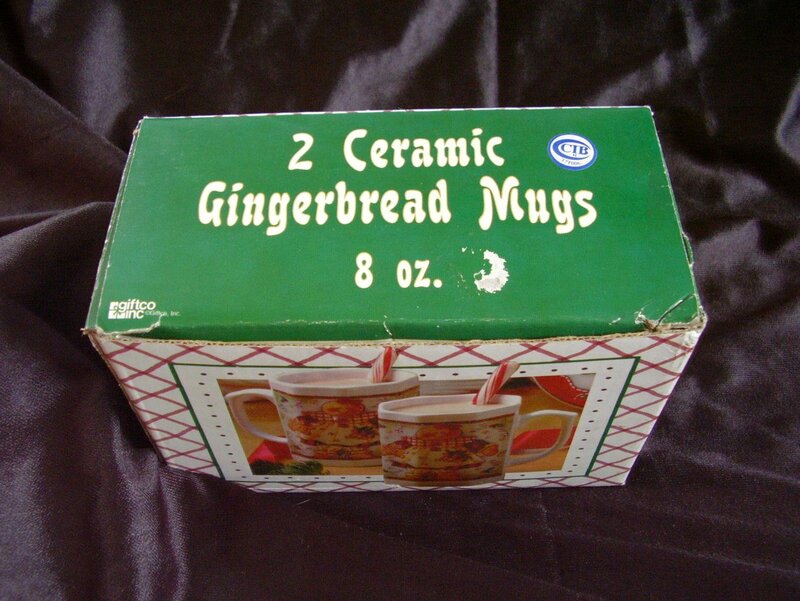 Set of 2 Ceramic Christmas Holiday Gingerbread Hot Chocolate, Cocoa, or Coffee Mugs 8 oz. 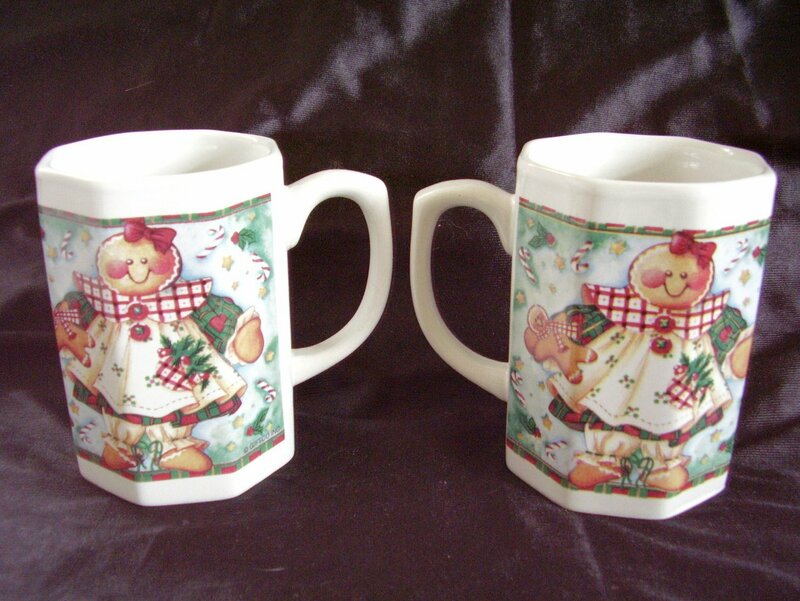 Set of 2 adorable ceramic octagonal shaped mugs with decaled gingerbread girls on them. Each mug is 4 inches tall , 3 inches in diameter, and measure 4 inches across the handle. Mugs come in their original box. In excellent used condition, appears that they have never been used. No chips, cracks, or crazing. Gingerbread girls decals are intact, bright and strong.